Death of the Internet? Run-amok legislation could kill the Web. Washington legislators may have finally lost their minds. Two bills winding their way through Congress — the House’s “Stop Online Piracy Act” (aka, SOPA) and the Senate’s “Protect IP Act of 2011” (aka, Protect IP) — could gut the very foundation of the Internet. In the noise of all of the other political gyrations in Washington, legislation that could undermine the foundation of the Internet could squeak through. I urge you to review the entire legal analysis at this link. If you’re equally concerned, you may want to consider contacting your Congressional representatives. Image courtesy Stanford Law Review. Americans Elect: Fast ‘n’ loose with the facts. Healthy skepticism recommended. I’m following up on my earlier thoughts regarding Americans Elect. On the November 25th “Hardball” with Chris Matthews (one of my favorite shows, btw), Americans Elect COO Elliot Ackerman had some revealing comments — a number of which were not factual. For instance, Ackerman expressed that the donor list is “streaming live on our Web site.” However, it is not. He also said that Americans Elect is “not a political party.” However, a little fact-checking reveals that Americans Elect is registered as a political party in a variety of states, including Florida, Colorado, and Arizona. Because Americans Elect doesn’t have to reveal its donor list, that invites big money to sneak in the back door — along with wink-and-nod influence. And the organization, itself, was kicked off with $1.55 million from Wall Street billionaire Peter Ackerman. Yes, that’s the COO’s father. So there’s a strange mix of things going on here. The organization may very well have a significant impact on the 2012 election. But will it be a healthy impact? Stay tuned for further perspectives. I’m not big on politics. But I am on technology. And I’ve spotted an emerging technology platform that has a legitimate potential to profoundly impact the U.S. presidential election less than a year from now. It’s called Americans Elect www.AmericansElect.com. Its goal: Allow the public to select its own President / Vice President candidate ticket — and put the pair on the election ballot in all 50 states. What distinguishes this endeavor from a symbolic gesture is that Americans Elect is collecting signatures nationwide to place the selected candidates on the ballot in all 50 states. So, in theory, the Americans Elect ticket could become President and Vice President of the United States. Could this actually happen? Given the volatile political climate, and now the technology infrastructure, it’s not impossible. Check out the Web site www.AmericansElect.com and keep an eye on things. And if Americans Elect blossoms into a real political force, remember where you heard it first. In 2007 President Bush signed into law an energy bill that requires light bulbs to be 30 percent more efficient by 2012. Sounds like a good idea, right? Today’s old-fashioned “Edison” bulbs turn only 10% of electricity into light — with the other 90% turned into heat. But now some “brilliant” lawmakers want to overturn the 2007 law, and they’ve introduced legislation to do so. Their rationale? People should have the right to choose how they want to light their homes and businesses, regardless of bulb type or efficiency. Now, I’m all for a free society and minimal government impact on our lives. But the reality is that America has five percent of the world’s population, but consumes a whopping 25% of the world’s energy. Expressed another way: On average, each one of us consumes five times more energy than an individual in any other country on the planet. And lighting is one of the heftiest contributors. Edison bulbs have been around since 1879. As we all learned in school, Thomas Edison found a way to create light by sending a current through a metal filament, causing it to glow. But this ancient technology, as mentioned above, is a terribly inefficient light source; for most homes, it’s the second-largest energy expense. Today’s energy-efficient light-bulb alternatives come in all shapes, sizes, and types. The now-popular “curly” fluorescent light bulbs (a.k.a., compact fluorescent lights, CFLs) are much more energy efficient (20% or more). But some people don’t like the slight turn-on delay. And, contrary to recent media reports, they don’t contain life-threatening levels of mercury. Yes, they contain some mercury — but only about one hundredth (1/100) of the mercury as the medical thermometers we grew up with. My personal preference is the LED light bulb, based on the same LED technology used in everything from flashlights to TV displays. They are considerably more expensive — $20 to $40 per bulb. But, because they are up to 80% efficient (vs. an Edison bulb’s 10% or a CFL’s 20%), they pay back quickly in energy savings — and can save hundreds of dollars per year in operating costs. And forget about replacing them. Under typical usage, a single LED bulb can last up to 25 years. Watch for the costs of LED bulbs to plummet over the next year or two, as demand and production increase. Companies are springing up, all across America, to manufacture both CFLs and LEDs. These companies are creating jobs and fostering innovation. Now if only the light bulb would go on in the heads of our politicians. Hooray! Obama administration to overhaul slow-motion U.S. patent system. One of the most frustrating things about being an inventor is the time it takes for my patent applications to wind their way through the system at the U.S. Patent and Trademark Office. It can be two years, or more, before I even get my “first response” – that is, the initial feedback on my invention. It’s excruciating. The article below from The Register provides a good overview of the changes that are in the works — thanks to the Obama administration. (The Register) The Obama administration is launching an effort to reform the slow-motion train wreck that is the U.S. Patent and Trademark Office. “We’ve got the greatest inventors in the world, and it’s time we give them the help they need to bring this country where it needs to be,” said Austan Goolsbee, chairman of the Obama administration’s Council of Economic Advisers in a White House White Board video on Monday. Goolsbee says that the USPTO takes far too long to review patents, and makes too many mistakes. 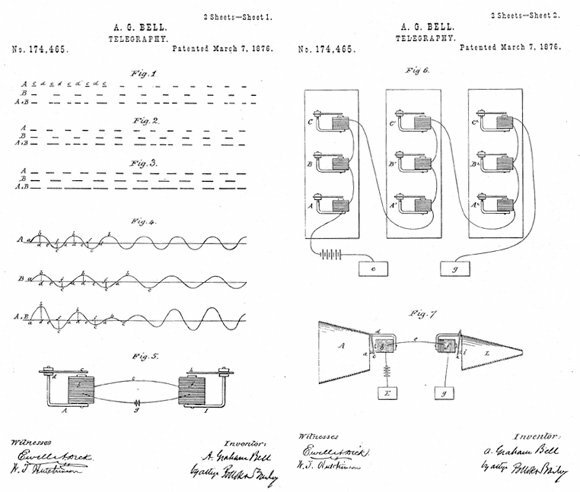 He notes that it took Alexander Graham Bell only a month to get a patent for the telephone back in 1876, and that in 1974 the “main patent” for the cell phone was issued in two years. Goolsbee cites a survey of venture capital–backed startups which found that three-quarters of them said that having patent protection was “critical” for receiving financing. The administration also plans to introduce a “fast-track” process through which inventors can get their “most important” patents approved within a year – although Goolsbee provided no details as to who will decide which patent applications will be allowed to jump into that express lane. Check out the insightful Op-Ed piece from Nobel economics laureate, Joseph Stiglitz, as he outlines his plan for substantial economic growth and reducing the deficit.